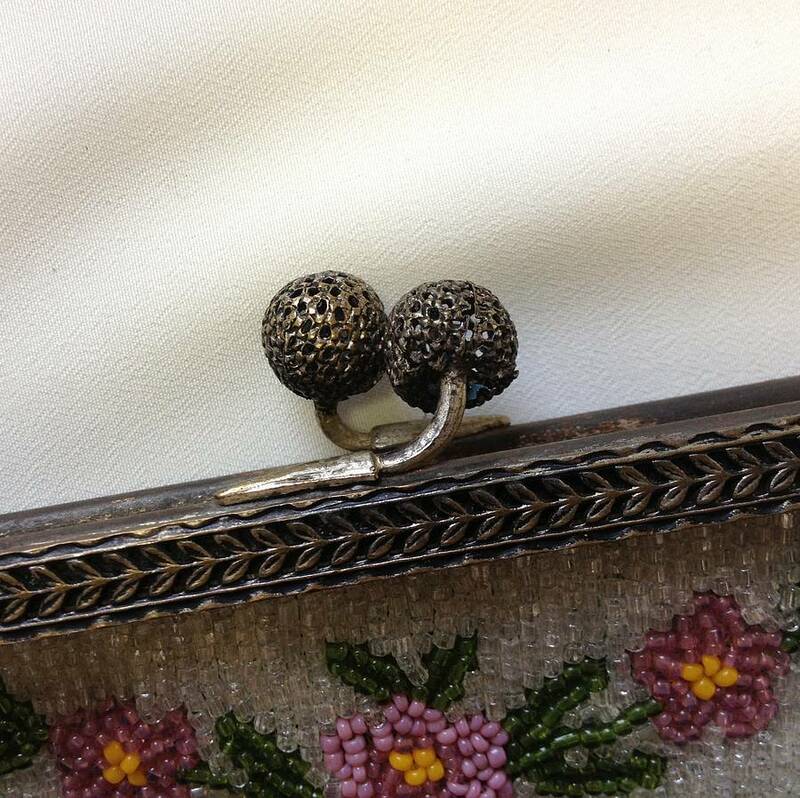 A stunning Art Deco vintage beaded flower bag with beautiful silver colour clasp. 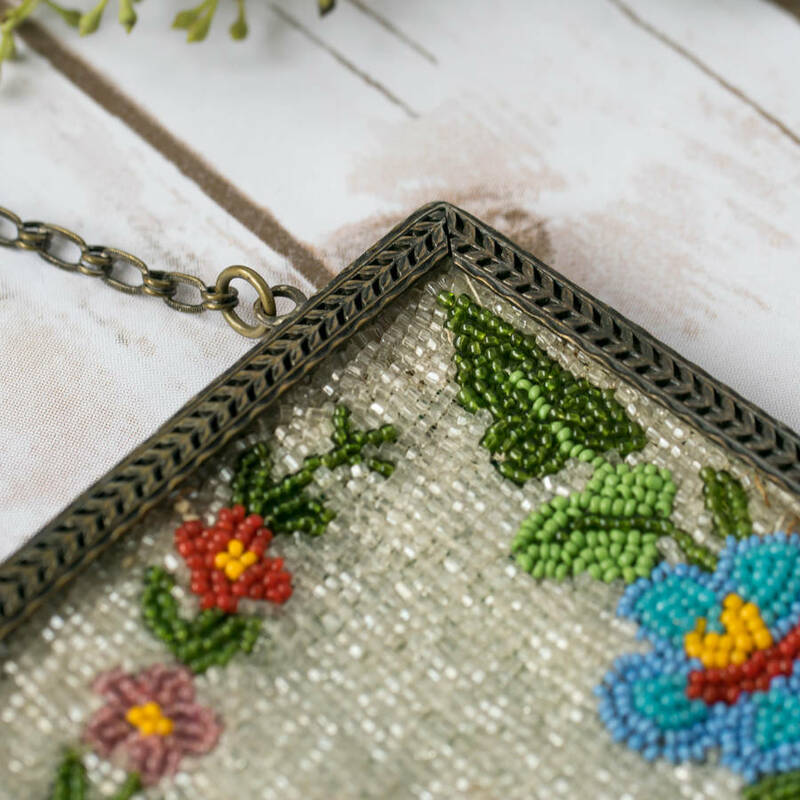 This exquisite Art Deco evening bag is an elegant item with delicate beading throughout. 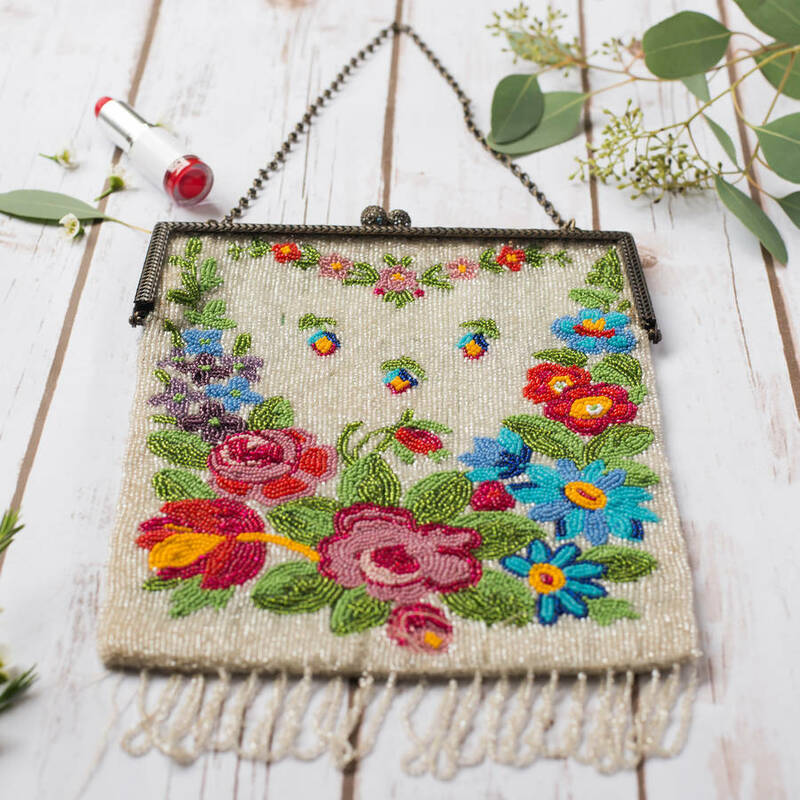 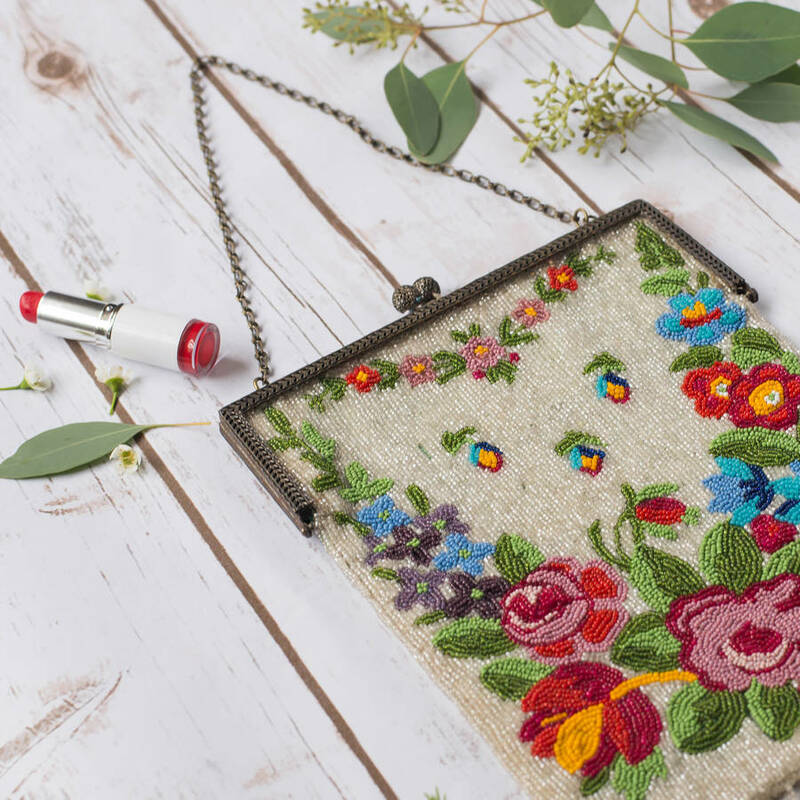 The lovely bag is primarily made from shimmering beads with a floral design in shades of red, blue, yellow, green purple and pink all on a cream beaded backdrop. 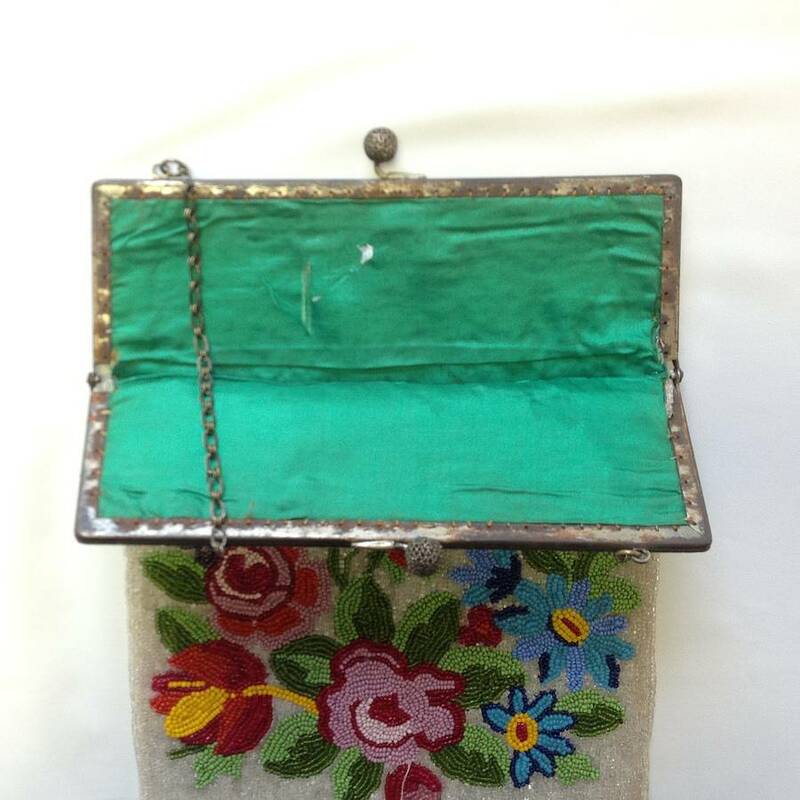 The bag is finished with beaded tassels at the bottom, a green lining inside and a charming silver detailed clasp. 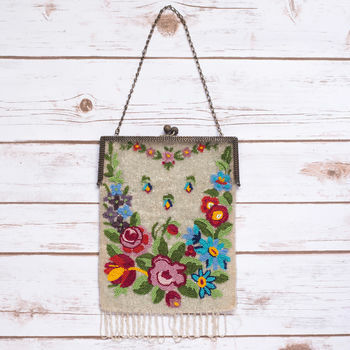 The vintage heavily beaded flower bag has a metal chain strap. 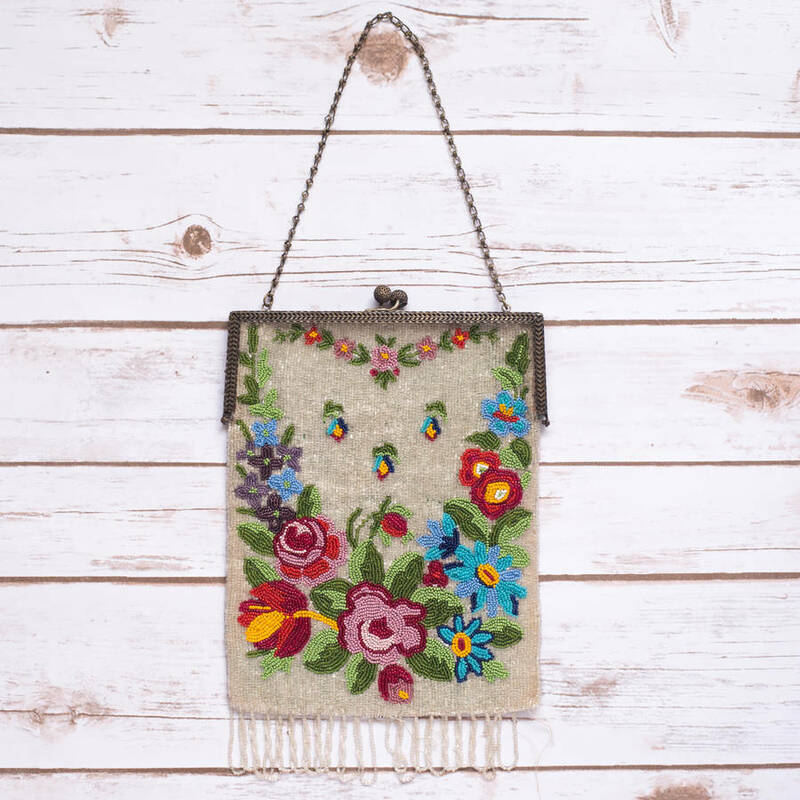 This bag would make a gorgeous gift for a friend or could be the latest addition to your own vintage bag collection. 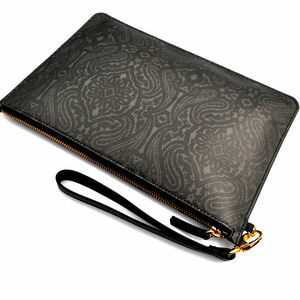 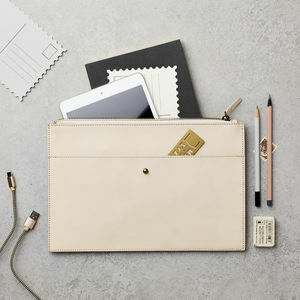 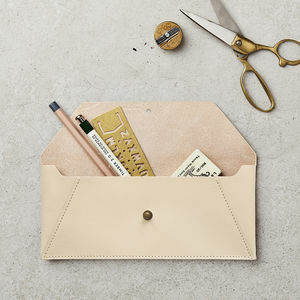 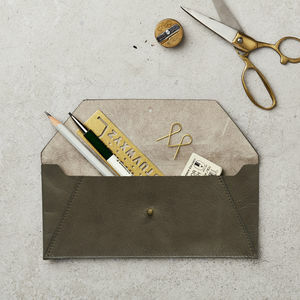 This product is dispatched to you by Iamia.